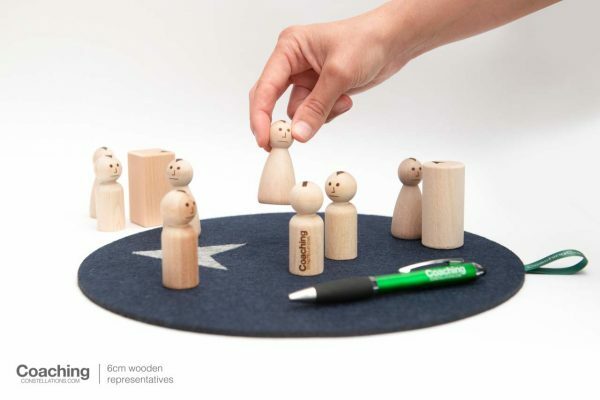 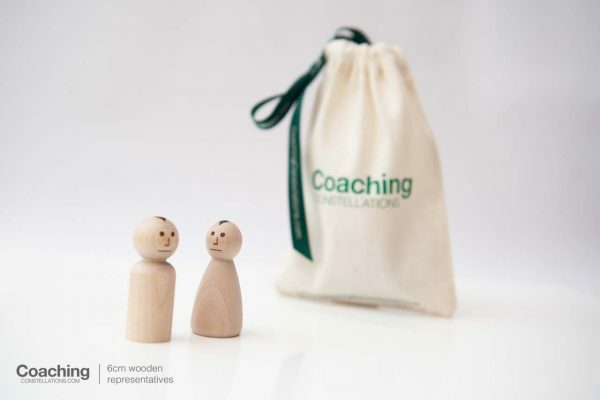 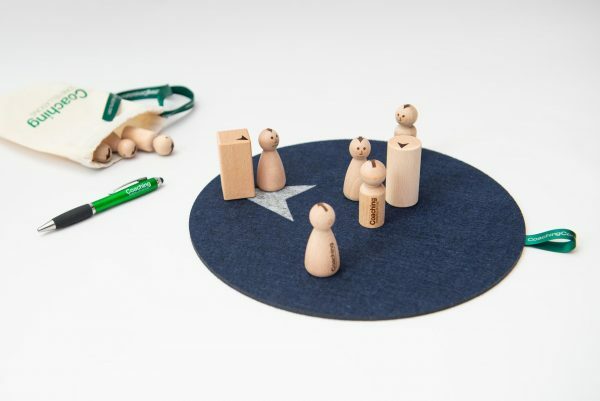 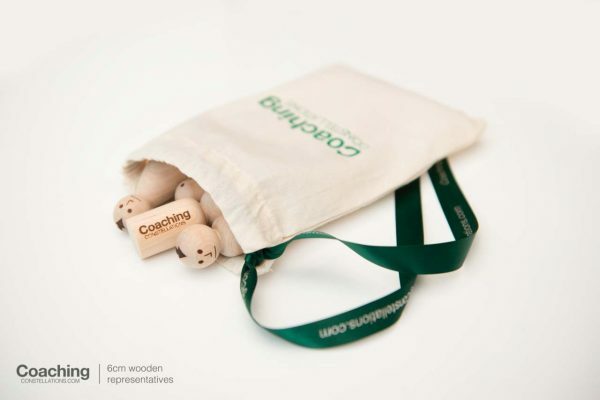 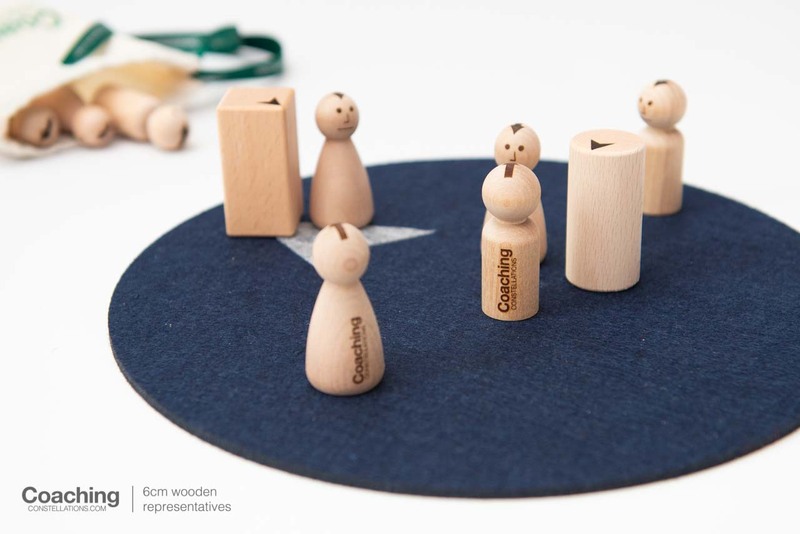 This set of 6cm high wooden markers has been made exclusively for Coaching Constellations and provides a unique solution for coaches and consultants working in a wide range of contexts. Each set consists of 4 ‘female’, 4 ‘male’, a cylinder and a block (to represent abstracts like ‘culture’ and ‘money’ or groups like ‘our customers’ or ‘stakeholders’). 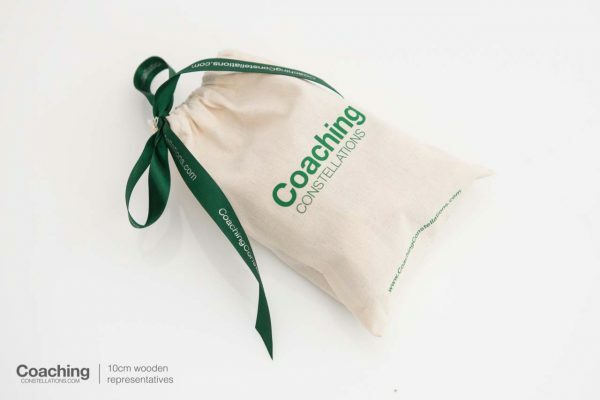 Each set is packed in its own natural cotton storage bag. These smaller sized representative markers and are all 6cm tall. 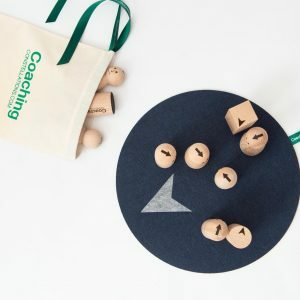 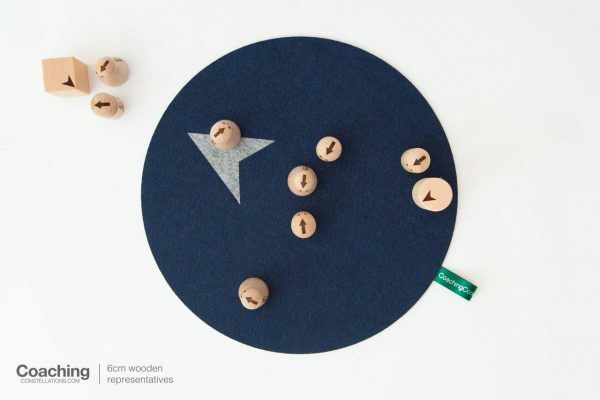 The Coaching Constellations mats (for tabletop applications or use on the floor) shown in the photographs are available to purchase in sets of 4 (two blue, two grey) and come with removable directional arrowheads. 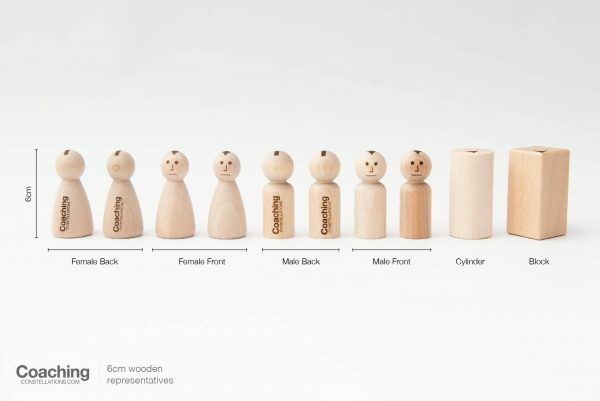 Please see here. Our objective is to support the growing worldwide community of systemic practitioners and leaders, so we retail all our resources at cost. 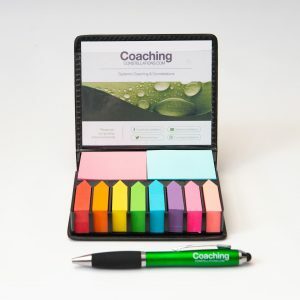 The price includes the purchase and hand-crafting of all the raw materials and the cost of managing the online shopfront. 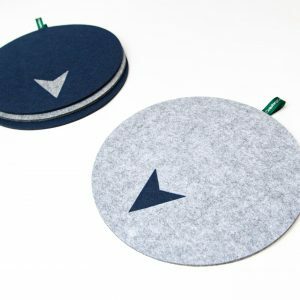 Order processing, post and packing are included in the shipping cost.